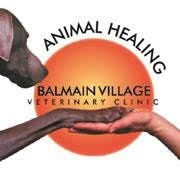 The course runs at the Bondi Junction Veterinary Hospital, 12 Ebley Street, Bondi Junction at 6.00 – 7.30Pm, please take a note of which evening you signed up to when making your booking because we run these classes on different evenings throughout the week. ·Family involvement in the dog training is encouraged, Attendance by children over the age of five is encouraged. If you require any more than two spaces in class please let our team know when making the booking so that we can make appropriate arrangements. The course runs at the Balmain Village Hospital, 3 Beattie St, Balmain on Thursday evenings 6.30 – 7.45Pm, there is usually parking on Beattie St, or across the road in Woolworths car park or in Council car park in Beattie St (1 min walk). Family involvement in the dog training is encouraged, Attendance by children over the age of five is encouraged. If you require any more than two spaces in class, please let our team know when making the booking so that we can make appropriate arrangements. Why Choose Our Puppy Training Course? Our puppy schools are aiming to teach you how to create a positive, calm and responsive relationship between you and your puppy. Focusing on teaching you how to provide for their needs, what to expect in owning your new puppy, how to make them feel safe and comfortable, how your pup’s brain works and how to communicate clearly with your new pup so that integrating it into your life is as simple as possible. This puppy class is designed to teach you as owners on how to bring up a happy, confident and responsive puppy, while socialising it with other puppies. The aim of this course is to teach you how to prevent problem behaviour’s occurring in the future. We will teach the basic commands, such as sit, stay, lay down etc. but this is the easy part of owning a dog. What you will really gain from this course is a greater understanding of your pup and teach you how to apply dog training to your every-day life. We aim to provide a class that is fun and informative, providing owners with the tools they need with their new pups. This school is run by professional trainers that work with dogs every day in real life situations. Dog ownership has evolved a lot in the past 10-20 years. We treat our dogs as a much closer part of the family, exposing it to much more than we used to. We take them to café’s and down busy streets, there are far more dogs out and about, and we expect them to be social. With this comes an expectancy on our dogs to know how to behave appropriately in all of these situations and yet all of these situations can be very stressful to a dog. This course will help you understand your dog’s needs and teach you how to introduce your dog to the world in a calm way, so that the dog is not overwhelmed by it all and feels safe within it. Everyone knows how to look after the physical health of their dog, exercise and feed appropriately. The dogs’ mental health is often neglected, and yet it is the mental health and stability of the dog that will be at the root of most problem behaviours. If we learn how to take care of the mental health of our dogs, owning a dog will be a whole lot easier. Healthy and vaccines up to date. We understand puppies will be at different stages of vaccinations depending on their age. However, puppies over 6 weeks of age should have received their first vaccination. Those over 12 weeks of age should have received their second vaccination and those over 16 weeks of age should have received their third and final vaccination of the year. Up to date worming. Worming should be done every 2 weeks until puppies are 16 weeks of age. Thereafter they should be wormed every three months. Hungry, do not feed them after lunch on the day of the class, we provide training treats and rewards. If your puppy has specific dietary requirements, please notify us.